1. At least two independent, outside reviewers are commissioned to assess each publication. 2. The employed solution is based on a model in which the author and the reviewers do not know each other's identity. direct scientific co-operation within two years prior to review preparation. 4. 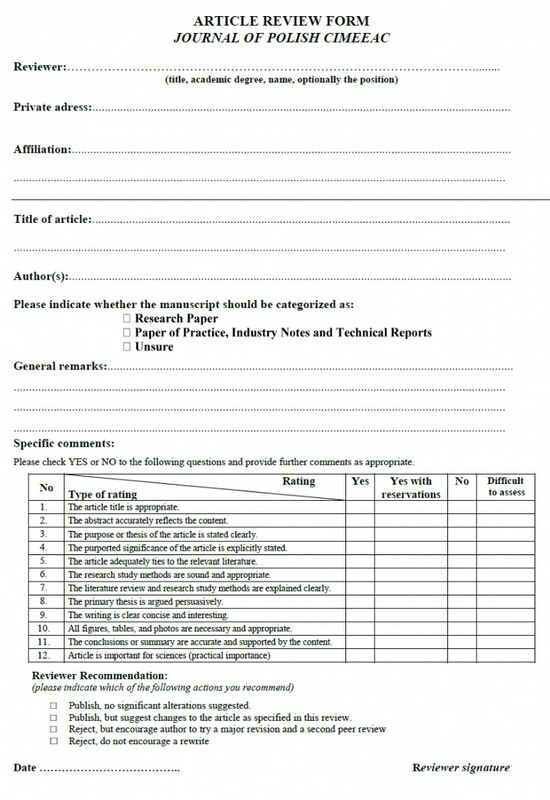 The review is issued in a written form and concludes with an unequivocal statement of rejection or acceptance for publication. 6. Reviewer names of individual publications/numbers are not disclosed, once a year the journal publishes a list of co-operating reviewers.